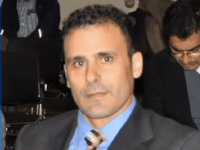 An Iranian court has sentenced Golamreza “Robin” Shahini, a dual American-Iranian citizen from San Diego, to 18 years in prison for allegedly “collaborating with a foreign government” and for Facebook posts. 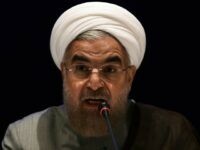 Iran’s state-controlled media are talking up the possibility of extorting “many billions of dollars” in further ransom payments from the United States, and they have been stocking up on American hostages to get the money. 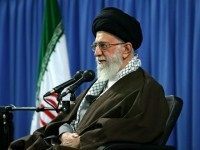 Iran’s penchant for indicting foreign prisoners on unspecified charges continues, as Iranian news agencies announced the indictment of three dual nationals, including one American, Monday. Eighty-year-old Baquer Namazi was arrested on Monday in Tehran and will be taken to the notorious Evin Prison, where his son Siamak Namazi is already being held without charges. Both Namazis hold dual American and Iranian citizenship. On November 4, 1979, Muslim student revolutionaries in the Islamic Republic of Iran took over the U.S. Embassy in Tehran and with it claimed 52 American citizens as hostages in what became a 444-day ordeal that would go on to grip America and the world. 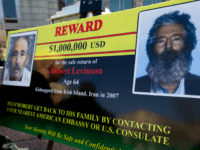 Iran has taken another American citizen captive. On Tuesday, Iran’s state-owned IRIB news network announced that the regime had arrested Nizar Ahmad Zakka, a Lebanese-American from Riverside, California with alleged “deep ties” to the U.S. military and intelligence services on suspicion of espionage. 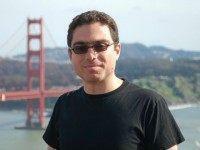 Siamak Namazi, an Iranian-American citizen who helped establish a pro-Tehran lobbying group in America, has been arrested in Iran and imprisoned indefinitely.